Providing Help. Creating Hope. Changing Lives. Professors, researchers, artists, medical doctors and other professionals from around the world coming to the United States need someone to help them navigate employment-or family-based immigration process. 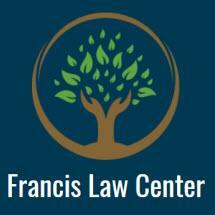 Serving Chicago, Illinois, as well as Madison and Milwaukee, the Francis Law Center puts you, as a professional in need of immigration services, in touch with an immigration lawyer who is himself a professional and has gone through non-immigrant visa, immigrant and naturalization processes himself. Our firm's founding attorney, J. Jae Lee, is not only an immigration attorney based out of Illinois, he also holds his Ph.D. from New York University (NYU). In addition, he has worked as a professor of U.S. history at the University of Wisconsin. We understand the unique issues facing professionals immigrating to the United States and their families. From India, Pakistan, Middle East, Korea, Africa, Asia, Latin America and Europe, professionals turn to us because they know we have the background and skills they need. Our team can provide you with that level of legal service because our firm focuses only on immigration law. We have committed ourselves to developing and maintaining a deep command of this area of law so you can rely on us with confidence and put your mind at ease. In the course of serving our clients, we regularly work with people needing help with K-1 spouse visas, spousal green cards or family-based green cards. We often work with professionals such as doctors, lawyers and business executives in this context.